When people think of landscape plants for adding color to their yards, prolific bloomers often come to mind right away. But don't forget that some landscape plants make a colorful statement not with flowers, but with foliage. 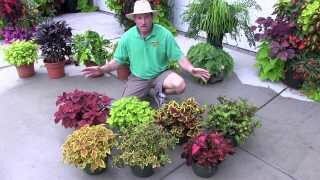 Our Landscape Coleus is a great example. Coleus, although it does bloom, is grown as a foliage plant, not for its flower. 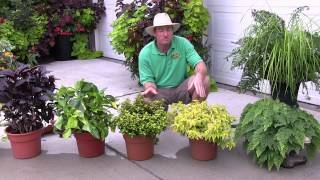 Traditionally a shade plant, there are now types of coleus that can be grown in the sun. We have an excellent selection of Landscape Coleus, as well as Kong Coleus, a newer seed variety with huge, colourful, broad leaves on compact plants.